This course includes a home study component ($500 value) that serves as a prerequisite to the live activity. To review the full activity description of the home study component click here. To access your home study, click on the “Take Course” button in the Course Summary box. This practice-based activity is divided into six subsections: business, quality, science, preparatory procedures, pharmaceutical calculations, and the actual preparation of dosage forms. The activity covers non-hazardous and hazardous drug compounding. The business subsection brings to light the necessity to build a unique identity, direction, and consistency in the delivery of the marketing message for the participant’s compounding practice. Participants will construct marketing messages and then rehearse the delivery of those messages while developing verbal communication skills. Participants will also have the opportunity to evaluate marketing material, utilizing an assessment tool they can continue to use in their practice. Financial management through the examination of a start-up cost spreadsheet is compared and contrasted with acquisition cost pricing analyses, used to establish the selling price for compounded medications. Expenses incurred to grow a compounding practice are presented across several months. A steady and realistic growth expectation is expressed in a profits-only spreadsheet. The number of compounded prescriptions multiplied by their associated selling price enables the establishment of this revenue stream spreadsheet. Participants can then compare the expenditures against the revenues to clearly see the rate of growth over time of net profits for a compounding practice. For a new compounding practice, these two spreadsheets can be used as milestones. The quality subsection features the bringing together of System P, a categorical breakdown of required standards of practice defined by Personnel, Property, Procedure, Process, Preparation, and Patient. This well-organized categorization of standards of practice yields equally organized standard operating procedures along with appropriately designed recording logs and forms for documentation purposes. Hence, the concepts of quality, risk, and verification, that help to govern a compounding practice as well as control, perform, verify, and document. A compounding practice would be remiss if it were to refrain from engaging in quality management initiatives. Equally so, an ongoing risk management system needs to be in place, consistently looking for potential challenges that could affect performance measures of any kind. In order to ensure a compounding practice’s quality of preparation, and on a more global scale, industry integrity, a verification system applied before, during, and after the performance of any task needs to address efficacy, reliability, and validity as three fundamental categories of analytical parameters. The scientific underpinnings subsection provides practical examples for the participant to apply; the balance concept explores dosage form stability and its suitability for a patient and customization with appropriate compromise as it relates to a compounded medication. To build up this subsection, a broad range of factors that can affect stability and suitability are examined through case scenario assessments. These cases enable the participant to establish relationships between dosage forms, their respective chemical composition, and the preparatory procedures used in their design. To combine these subjects is to help ensure a compounded medication’s integrity, potency, strength, administration, and bioavailability. The preparatory procedure subsection introduces the participant to a unique template that can be very useful during the process development phase, and act as a master formulation record and compounding record. The actual process of developing a master formulation record affords the opportunity to engage the activity participant in a review of pre-formulation, in-process, and post-formulation qualification factors that, when not addressed, can result in inappropriate drug concentrations in a compounded medication. The actual practical and hands-on preparation of dosage forms bridges the gap between theory and practice. Participants will perform pre-formulation calculations, prepare an array of current and popular dosage forms, and adhere to a series of standard operating procedures while formulating in the lab environment. Post-verification procedures will be performed on the dosage forms prepared, to learn how to assess the accuracy and precision related to the drug concentration per unit application, to within acceptable margins of error as per USP. This activity culminates with a comprehensive case assessment utilizing all that has been learned during the activity. Select cases will be assigned to small groups of participants that will work collaboratively using a complex flowchart as a guide. A template will be provided, requiring detailing on the part of the groups. Verbal presentations of the group’s findings are made while the remaining participants utilize another template to assess the presentation. A question and answer period will ensue. This final event affords the highest degree of interactive learning and a means to assess one’s own level of competency gained during the entire activity. The greatest aspect of the training that LP3 offers is the instructors that teach these courses. At my Non-sterile training, I was excited to have Joe Cabaleiro and Mark Filosi as the main instructors. Joe is one of the compounders that helped establish PCAB years ago and continues to stay active in the regulatory aspect. Mark is a self-made, well-established compounder that has the experience and skills needed to run his own compounding pharmacy, which he has been doing for years. Together, they make a team that is at the forefront of compounding, teaching you how to compound beyond regulation standards. The training is a true hands-on experience, with a group of trainers who are experts and are very open to answer all questions and teach the secrets of successful compounding. I learned a lot, regarding the techniques and quality control, suppository and capsule making, packaging, and the availability of compounding aids. This training will help me in my day-to-day practice, in particular with preparations of capsules and suppositories. The Non-sterile compounding training program provides you with a broad outlook on the different formulations, which can help to customize patients’ therapeutic needs. Not only does it give you theoretical knowledge, but also hands-on experience of several compounding formulations under expert supervision. The training not only gives you an idea of how to prepare formulations, but also teaches you how to make them correctly. Along with the practical approach, you also get an idea on how to approach Health Care Providers and offer these specialty services. Being interested in compounding was how I discovered LP3 Network online. My first experience was the Non-sterile course and it was extremely positive. I prefer live training to online learning and I would recommend this course to any pharmacist or technician. From my initial contact with the LP3 Staff, to getting signed up, to the accommodations, to the actual quality of the course, everything was top notch. The information was presented in a non-biased way and there was a good balance of lecture and hands-on lab work. The training supports development as a compounder, giving you not only the information you need to compound but the standards that you should strive to uphold. One of the best aspects of the course was how supportive the instructors were. The lecturers make the courses fun, interesting and do a great job of making difficult topics enjoyable. The material is presented in such a way as to make the theoretical information usable in everyday practice. I feel compounding is the future of pharmacy and LP3 has wonderful courses to introduce this topic. It is also a great place to network and meet people from all over with different backgrounds. I will definitely take more courses in the future with LP3. This program was very straight to the point. It was extremely compressed (this is why it's 3 days), but I feel that it gave me the confidence and knowledge necessary to start marketing my compounding business. The staff was extremely hospitable, especially Raman. Everyone involved in the course was very patient and friendly. Because of the supervision in the lab, the instructors were able to point out certain errors that I've been making since university, and how to overcome them. This is why I feel that no matter how good you are, the instructors can still add to what you already know. I am a pharmacy owner so I can't take many days off - this course was what I needed because it covered the topics over 3 days (2 of which were on the weekend), there were no advertisements, and everything was to the point. I strongly recommend it. Pharmacists and technicians new to non-sterile compounding or with an existing compounding practice. Defend oneself as a compounding pharmacist before the medical community while advocating the advantages of compounded medications. Assess marketing material and marketing messages against a set of criteria to determine the accuracy, appeal, and overall ability to promote a compounding practice. Assess and evaluate expenditures and revenue spreadsheet values over time, as a direct reflection of the costs and earnings of a compounding practice. Assess acquisition costs in order to establish the selling price of a compounded medication. Arrange one’s own standard operating procedures, incorporating System P as a means of their categorization. Defend quality, risk, and verification initiatives as a foundation in support of the integrity of the compounding industry. Create relationships between control, perform, verify, and document against the six categories of System P: personnel, property, procedure, process, preparation, and patient. Construct quality, risk, and verification protocols for each of the six categories of System P.
Value the requirements under the USP Chapter <800> addressing hazardous drug management and containment: personal protective equipment, hazard communication, medical surveillance, waste management, deactivation and decontamination, handling, storage, preparation, labeling, packaging, shipping, and transportation. Value the data from recordings of logs and forms related to standard operating procedures and the corrective measures that should be investigated following an assessment of data that falls outside of acceptable norms, parameters, and specifications. Assess structural, functional, and workflow dynamics-related considerations, as they apply to facility design requirements for non-hazardous and hazardous drug compounding. Construct relationships between routes of delivery, chemical composition, and generalized preparatory procedures for non-sterile dosage forms. Analyze clinical case scenarios utilizing the concepts of being a “STAR”, balancing stability and suitability, and customization with appropriate compromise, to aid in the decision-making processes related to medication therapy. Support the transition from process development, to master formulation record, to compounding record through the use of a template designed to incorporate the parameters for all three formulation stages. Manage a clinical case scenario through the use of a flow chart to navigate through decision-making requirements, leading to a compounded medication. Prepare a broad range of non-sterile dosage forms: hydro-alcoholic gels, rapid dissolve tablets, lollipops, chewable treats for animals, capsules, troches, suppositories, and creams. Support the marketing initiatives and critical messages put forth by pharmacy owners, specifically their accuracy, appeal, and overall ability to promote a compounding practice. Formulate a healthy opinion surrounding the expenditures and revenues generated by a compounding practice, while reading financial spreadsheets that are a direct reflection of its costs and earnings. Assess acquisition costs associated with technological and chemical purchases in order to appreciate the selling price of a compounded medication. Compare standard operating procedure requirements against an established system used for their categorization, in an effort to ensure the completeness of SOPs in the compounding pharmacy. Support the quality, risk, and verification initiatives held by a compounding pharmacy as a foundation for excellence in support of the integrity of the compounding industry. Support any and all quality, risk, and verification protocols undertaken by a compounding pharmacy for each of the six categories of System P.
Support the initiatives of a compounding pharmacy in relation to the USP Chapter <800> addressing hazardous drug management and containment through: personal protective equipment, hazard communication, medical surveillance, waste management, deactivation and decontamination, handling, storage, preparation, labeling, packaging, shipping, and transportation. Value the data from recordings of logs and forms related to standard operating procedures, a shared responsibility between pharmacist and technician, and the corrective measures that should be investigated following an assessment of data that falls outside of acceptable norms, parameters, and specifications. Assess structural, functional, and workflow dynamics-related considerations, should the technician wish to make recommendations for change, as it applies to facility design requirements for non-hazardous and hazardous drug compounding. Construct relationships between routes of delivery, chemical composition, and generalized preparatory procedures for non-sterile dosage forms, so as to gain an appreciation for the preparatory procedures and excipient requirements of a compounded medication. Assess clinical case scenarios utilizing the concepts of being a “STAR”, balancing stability and suitability, and customization with appropriate compromise, so as to gain an appreciation of the complexities surrounding dosage form design and its relationship to medication therapy. Value a clinical case scenario flow chart that helps the compounder navigate decision-making requirements, leading to a compounded medication. Wondering if USP <800> applies to you and your practice? 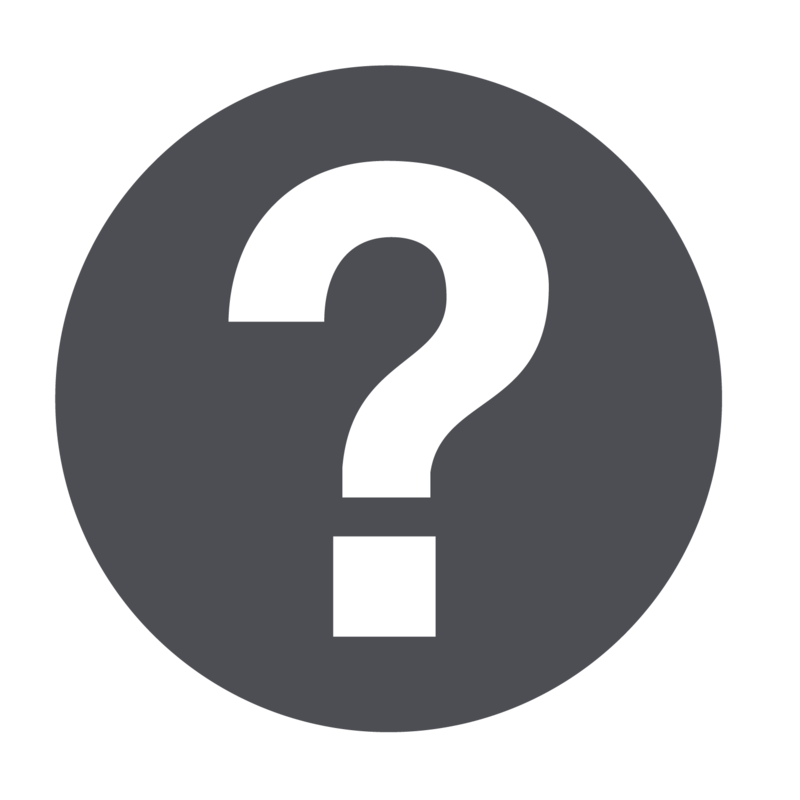 Check out our Hazardous Compounding FAQ for more information. This learning activity has received financial support from MEDISCA Inc. in the form of an educational grant. The live activity workbook is copyright © 2016 LP3 Network. The training will take place at the LP3 Network Facility. Getting to the Training Facility: We are pleased to offer shuttle service to and from the preferred hotel and the training facility. Please meet the LP3 Network team in the lobby of the preferred hotel at 7:15am sharp for transportation to the training facility. The LP3 Network team assumes that all participants will use the shuttle service provided, if staying at the preferred hotel. It is important to advise us if you will not use this service. 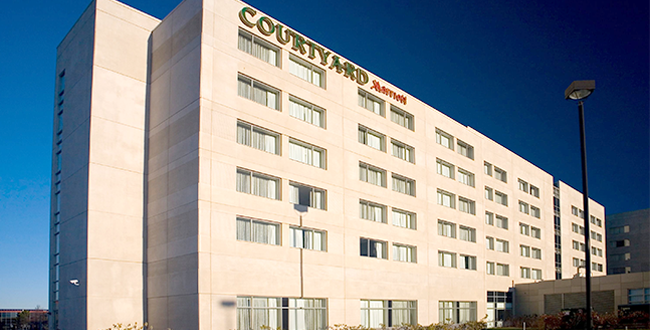 The preferred hotel accommodation is the Courtyard Marriott Montreal. For online reservations, please click here. Based on Availability. Payment for hotel accommodations is at the expense of the activity participant. Facilitators will be announced closer to the activity start date – please check back soon! Note: Facilitators are subject to change. To receive CPE credits for the home study, participants must complete a learning assessment with a score of 70% and submit a completed evaluation. To receive CPE credits for the live activity, participants must demonstrate full and satisfactory participation, and submit a completed evaluation. CPE Consultants, LLC is accredited by the Accreditation Council for Pharmacy Education as a provider of continuing pharmacy education. A written request must be sent to LP3 Network requesting “Cancellation without Transfer” to an alternate live activity date. If cancellation occurs at greater than or equal to 31 days from the live activity date, then the registrant will receive a 75% refund; 15-30 days a 50% refund; and less than or equal to 14 days no refund. The transfer policy is only in effect if requested greater than or equal to 14 days prior to the original live activity date. Failure to submit the “Transfer Request” at least 14 days prior to the original live activity date will default to the “Cancellation and Refund Policy”. The transfer policy can only be applied one (1) time. Transfer to a new live activity date must be within the current calendar year. Failure to attend the new live activity will result in no refund and will no longer be transferable. Confirmation of the new activity date is subject to approval by LP3 Network based on the number of available seats within the selected live activity. There are no refunds, returns, or transfers upon purchase of the home study.